Metallica and the Punisher?! – All of My Issues! Do you like Metallica? What about the Punisher? Yeah, we do too. 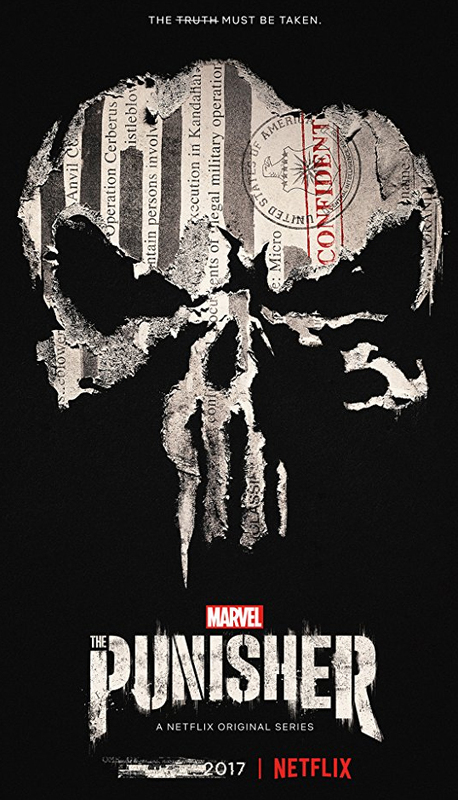 That’s what makes this new trailer for the Netflix series, The Punisher, so awesome. Two great tastes . . . that taste great together. It’s no secret that there are a ton of Metallica songs out there, but if you had to pick[amazon_textlink asin=’B00AH69AX0′ text=’ “One” ‘ template=’ProductLink’ store=’allofmyissu0a-20′ marketplace=’US’ link_id=’e7b60be4-a3a8-11e7-983e-cfd70ad82534′]Metallica song for Frank Castle, what song do you think that would be? Well you’re right. It is that song, and the new trailer is glorious because of it. Check it out below and let us know what you think . . .
We should also mention that there have been other metal bands that have written songs inspired by everyone’s favorite vigilante. One song, that we’ve previously mentioned, is by Megadeth. This song, [amazon_textlink asin=’B001GGZI3Q’ text=’Holy Wars . . . The Punishment Due’ template=’ProductLink’ store=’allofmyissu0a-20′ marketplace=’US’ link_id=’121a7b71-a3ab-11e7-beef-01433bc22c00′], originally appeared on the album [amazon_textlink asin=’B0002EXH5O’ text=’Rust in Peace’ template=’ProductLink’ store=’allofmyissu0a-20′ marketplace=’US’ link_id=’42757afc-a3ab-11e7-b913-51685a90687d’]. The song structure is interesting. The first half of the song appears to be thematically unrelated to the second half of the song. The first half is a commentary by Dave Mustaine, on religious conflicts. In the middle, it changes and slows down to begin the “The Punishment Due” portion. Obviously, this is the part of the song loosely related to the Punisher.